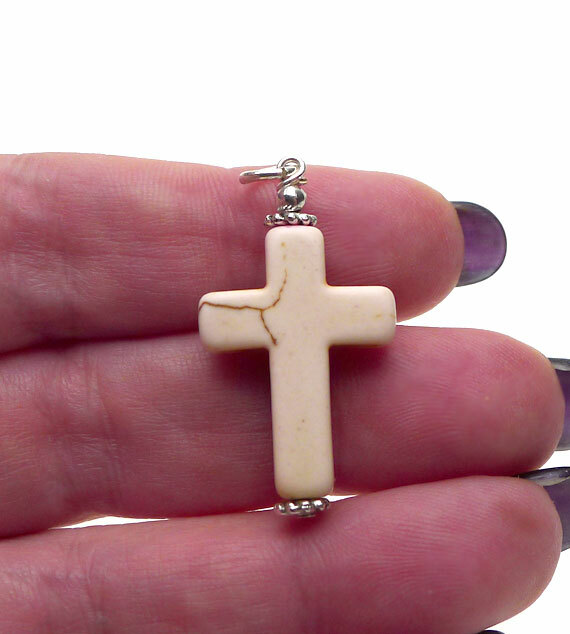 This Gemstone Cross Pendant was hand-made in the United States of Cream White Turquoise Magnesite and accented with Tibetan Silver and Silver Plated Findings. 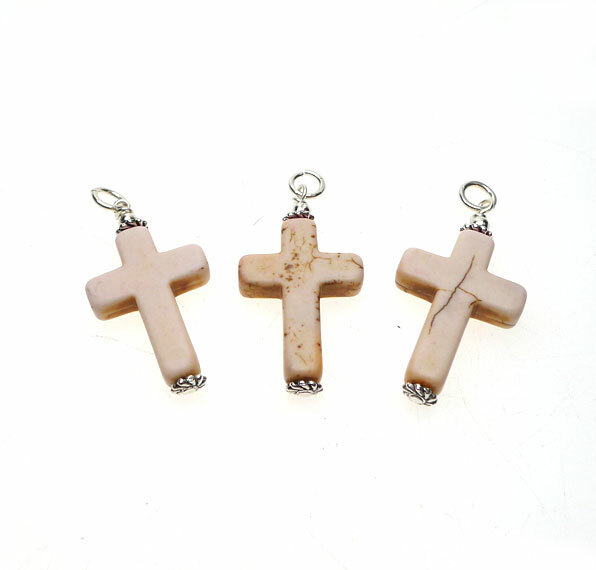 The images show the front and the back sides of the double sided stone cross pendants. 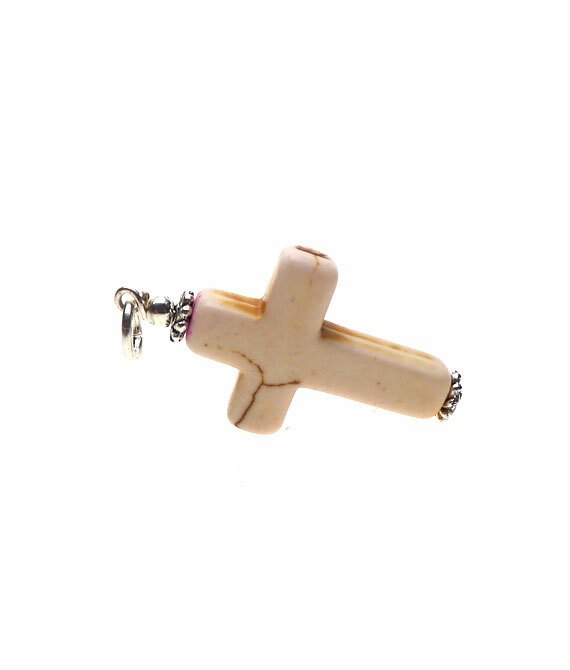 Though images may show multiple pendants, they are sold individually. As these were hand-crafted with Natural Gemstones, please expect variations. 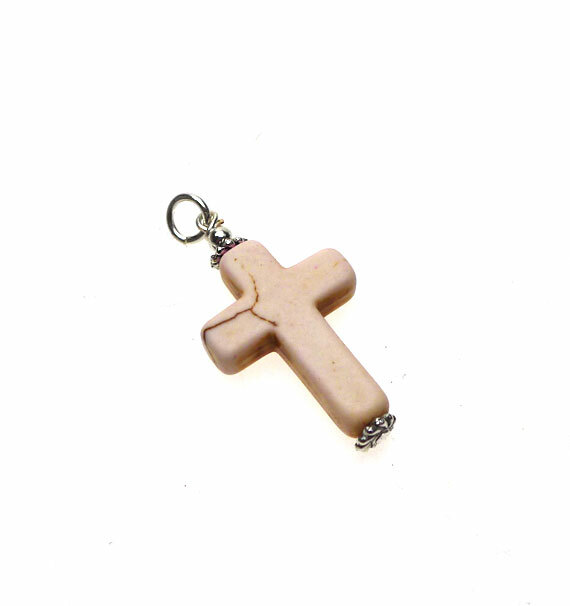 > You can Customize this item into a Gemstone Cross Necklace -- Choose from : Pendant Only, Pendant on a Plain Black 24-inch Waxed Cotton Cord, or Pendant on a Silver Plated 18-inch Necklace Chain. If you need a Sterling Silver Necklace, please see our Chains section. 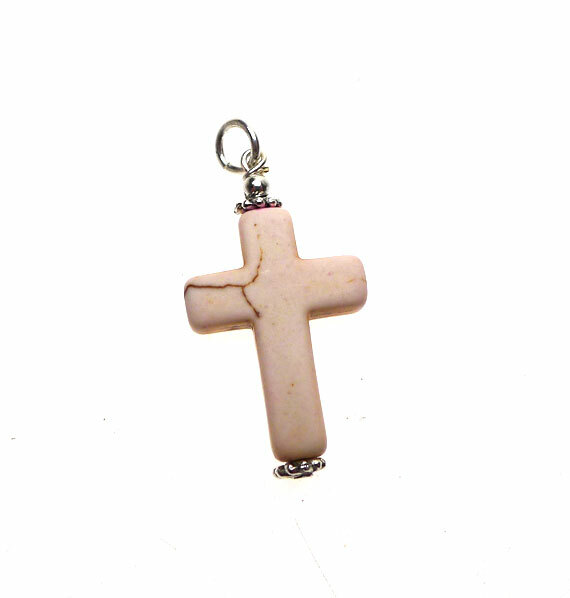 > Because we are the manufacturer, if you need more Turquoise Cross Pendants than we currently have listed, please feel free to contact us to see if more can be made for you.